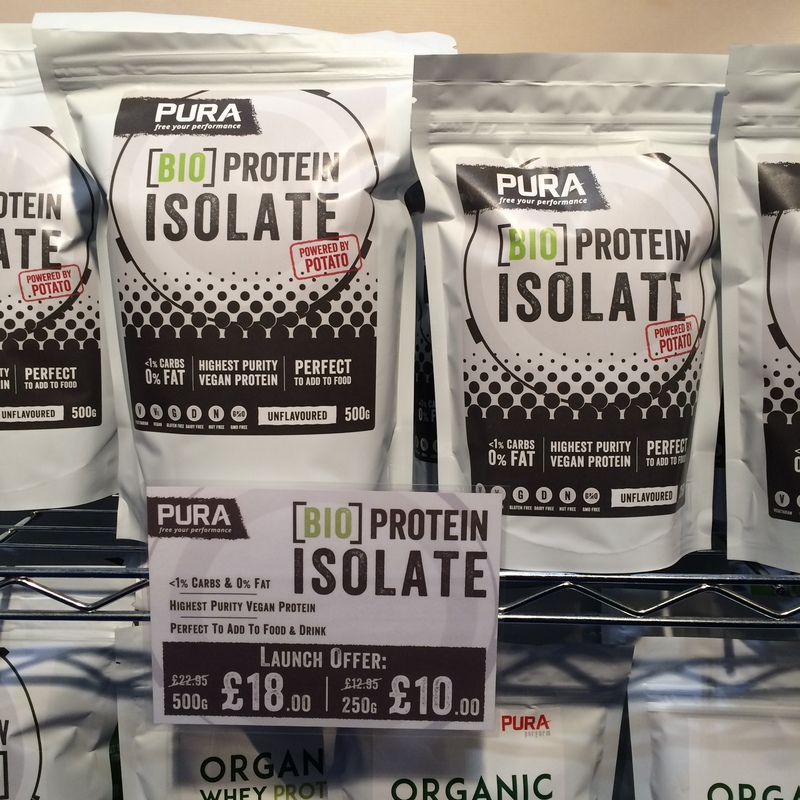 While wandering around the London Bike Show the other week I stumbled across the stand for Pura Free From nutritional products. I’m always on the lookout for interesting alternatives to the usual whey powders, so this one caught my interest. Their BIO Protein Isolate is a protein powder made from potato extract! According to the sales rep, potato is 2% protein so they take the potato and refine it into a powder which has a highly bio-available 95% protein content. You can then mix it with milk, water, juice or even use it in cooking (I threw some in my pancake mix on the weekend). 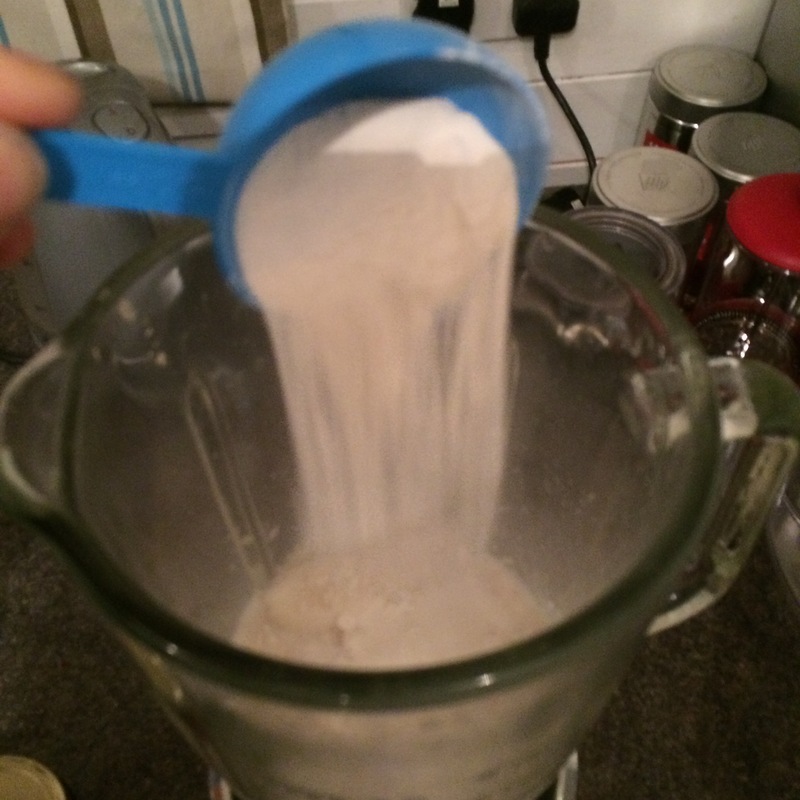 I’ve found it blends well, but does thicken up whatever mixture you add it to more than other protein powders. It’s unflavoured and the texture is not “chalky” like other whey protein alternatives I’ve sampled. It is also 100% vegan and gluten free. So far I’ve found it a great alternative, but rather expensive compared to traditional whey protein powder. 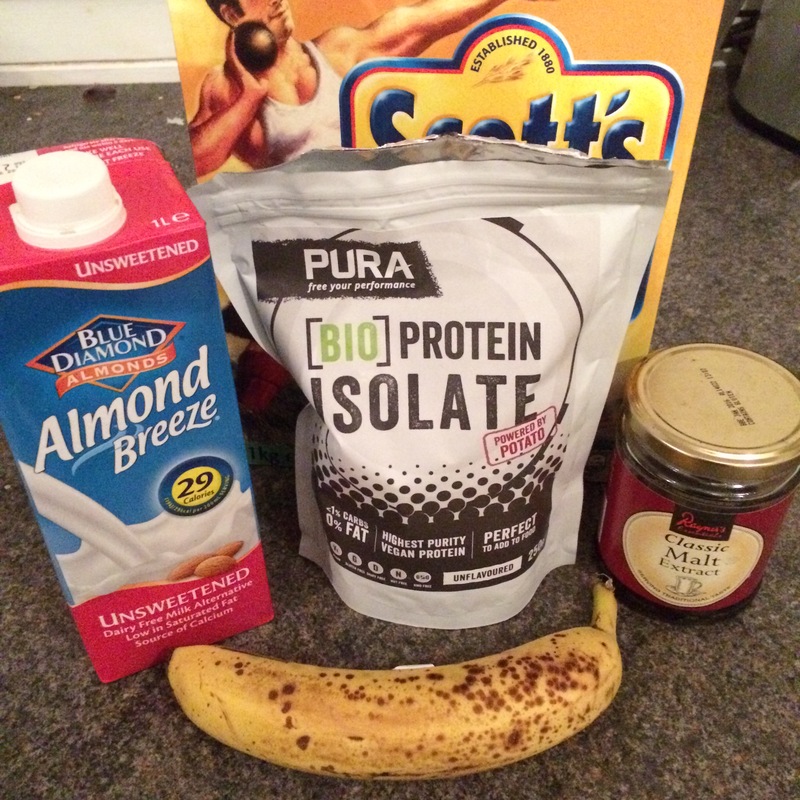 Break the banana into pieces and put it in the blender followed by the almond milk, then the rest of the ingredients. 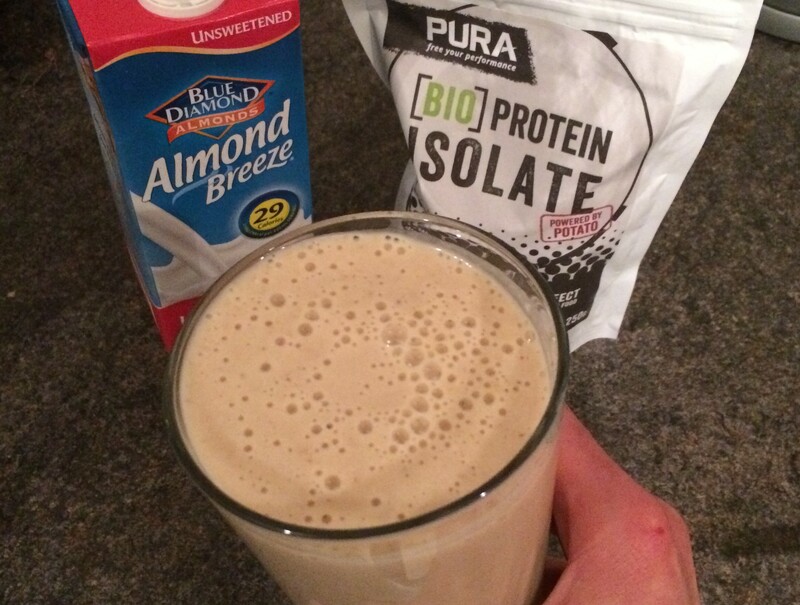 Give it a good whiz for around thirty seconds, pour into a large glass and enjoy after a hard session on the bike! Next Post Finally out on the speed machine! Looks good. I haven’t heard of that one. They were a fairly new start-up when I saw them at the Cycle Show. Interesting product.